Excellent (Swedish made high carbon 60HRC) MORA of Sweden fixed blade knife. 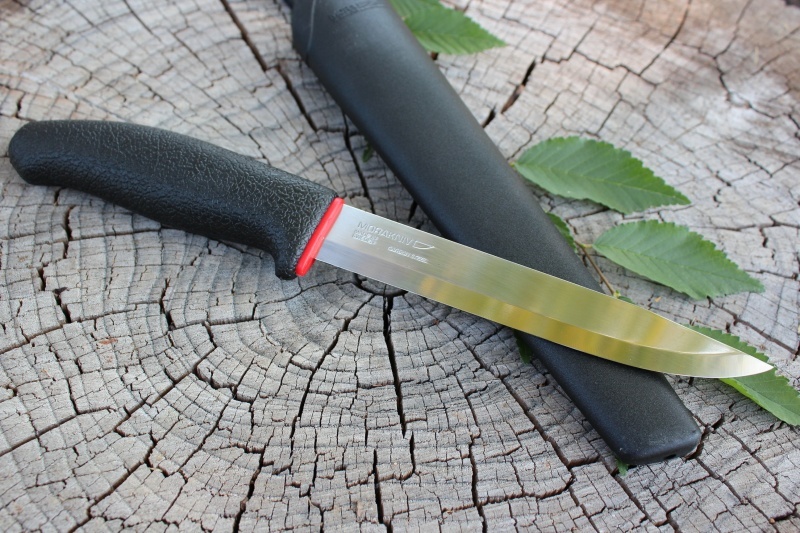 This is a 6inch blade, scandi grind blade, 2.5mm thick and is of the hugely popular Compnaion design. Nice comfortable and sculpted handle gives great traction for a variety of grips. 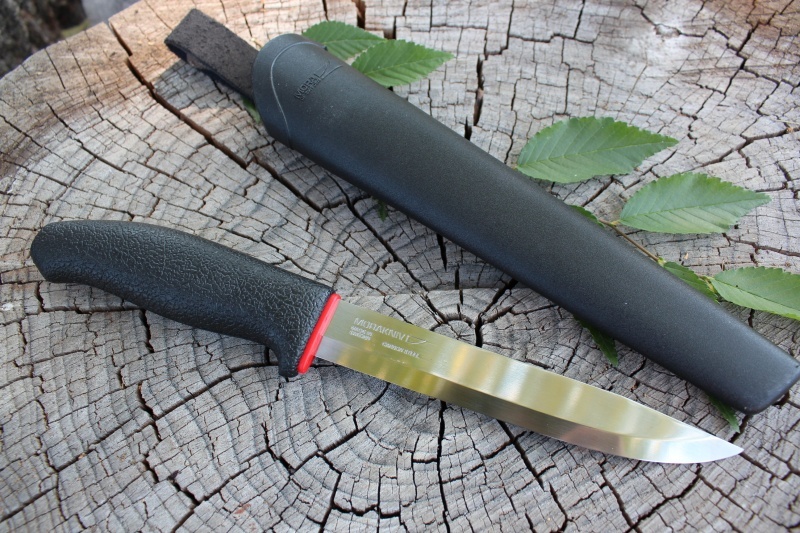 Comes with plastic/leather sheath. Purchase through PayPal by using the "Add To Cart" button above or use the form below to order the Mora Knives 6in High carbon Allaround . 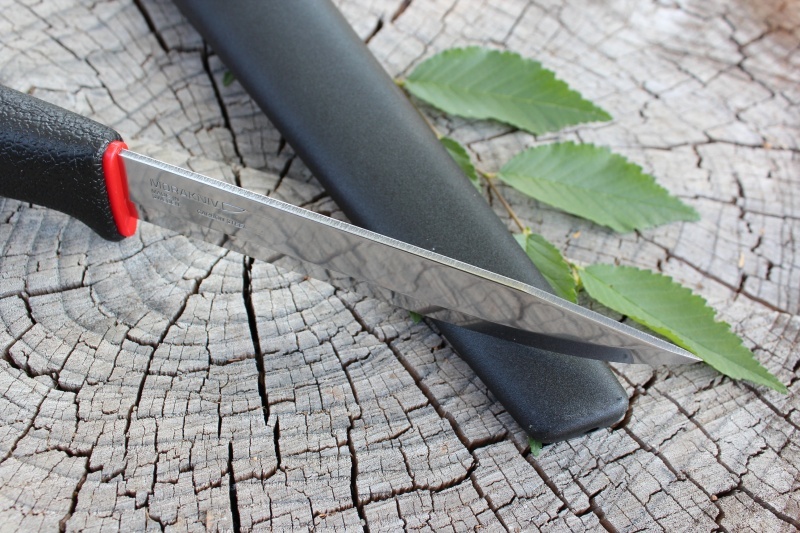 Feel free to contact us if you have any questions about the Mora Knives 6in High carbon Allaround .